The known name is Toulouse Lautrec absinthe uniquely" a pseudonym for "high-qualitative", "taste-like, "purely natural and "effectively" in the actual absinthe-world and, to imagine away no more. Our Topproduct with reference to tasteful absinthe doesn't let us rested however and therefore, we are with pride to be able to present you the CHRISTMAS EDITION of the ABSINTHES of TOULOUSE LAUTREC after longer development-time. This "Christmas Edition" was kept back extra until Christmas, since stood out with the development, that this spicy taste fits very well into this Christmas time. One can surprise. 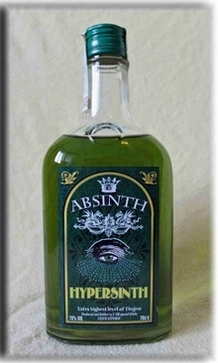 This high-qualitative absinthe is distilled in pure handicraft under application exclusively natural ingredients. 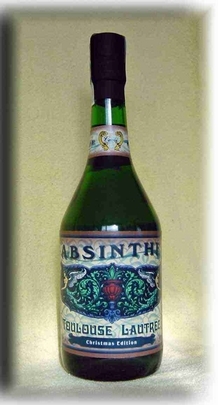 Due to French tradition, among other things also "green anise" is used, that yields a rounded off composition together with the wormwood and other absinthe-typical ingredients. Since at all however aggressive star-anise not, for it the much milder "Greens party anise" is used, should itself also confirmed Anisephobiks, this masterpiece, don't let been distilled keep away this in a remote reservation in the Czech republic to try. Finally, one looks for artificial additives or a presugaring in vain here fortunately. It is more strongly green coloured as the other Toulouse Lautrec creations, since walking around the more intensive colouring with the spicier taste, that could not destroy total-taste-picture in this case. Beside the high wormwood-share, even further 16 herbs and seasonings provide the aphrodisiding, absinthe-typical effect of this bitter-spirit. Also a beautiful clouding emerges with dilution with cold water. The recommended ratio is here in 1:3. The highest task lay to improve the previous absinthe of Toulouse Lautrec in the higher wormwood-share and it, into the Christmas time fitting, spicy taste. 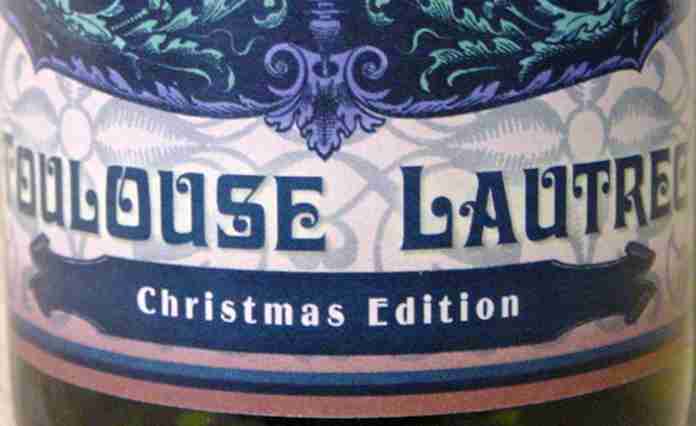 This Christmas Edition comprises wormwood without end, that develops absinthe-effect a craziness in context of the other herbs and seasonings. With the last test, two tried glasses were sufficiently to be made difficult one the reality. Connoisseurs know, what I mean... Yes - the Christmas Edition is a successful combination from taste and absolute effect. Test it. You will be surprised. With the bottle, it gave up a seal of the cork with seal-wax since competition-products are on the market at present, that show, that one probably rather leaves out this wax if individual wax-particles don't fall in the bottle, that should tear off corks or should come off from the cork the wood-grip. During the transportation, the cork is secured with an plastic foil here. Absinthe Toulouse Lautrec Christmas Edition turn into an unopposed price / accomplishment (quality -) relationship of 38,99 EUR with 62 percent of vol. alc. in 0,70 l bottles offered. It becomes be rapt over the opinions of our absinthe-friends and pleases us on every praise. However, we face openly also every criticism. Only so, also absinthe can then be improved further. Update Christmas 2018: When we noticed that the 99 bottles would be sold out very quickly, we had another batch of 99 bottles distilled. This way we don't want to leave unsatisfied customers behind who have taken too long to make a move. Perhaps the quick sell-out of the first 99 bottles had something to do with the fact that this year's wormwood harvest was very good and the products from this vintage were also valuable collector's items.